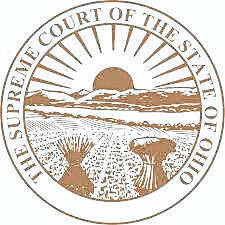 The Ohio Supreme Court has breathed life back into putting the Berlin Township referendum on the May election ballot. “(The) Supreme Court is telling us to put it on (the ballot),” wrote Delaware County Board of Elections member Steve Cuckler in an email to The Gazette. The referendum seeks to overturn the Berlin Township Board of Trustees’ decision to allow 24 acres of land along U.S. Route 36/state Route 37 to be rezoned from Farm Residential to Planned Industrial. In a protest hearing Jan. 18, members of the board of elections voted on two separate motions stopping the referendum from going to the ballot. In the first motion, members voted 3-1 against placing it on the ballot based on the petition being titled incorrectly. Since that time, resident Graeme Quinn, who has lead the charge to get the referendum on the ballot, filed a writ of mandamus with the Ohio Supreme Court. However, the second motion dealing with the sufficiency of the summary on the petition drew a tied vote of 2-2 from the four members of the board. The petition has been sent to Secretary of State Jon Husted to break the tie. “The secretary of state still needs to break the tie vote on the other petition error, and until that time, I don’t see this being on the ballot,” Cuckler said. 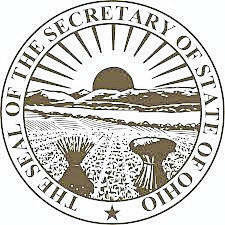 The Gazette contacted the Ohio Secretary of State’s Office for comment on the next steps in the process. Sam Rossi, press secretary for the secretary of state, said they were aware of the court’s ruling, but he added it was too early to comment on the process. “The Ohio Supreme Court made its ruling Thursday, and we’ve started our process,” he said. According to the court’s ruling, on Jan. 23 Quinn filed a complaint for a “writ of mandamus” against the board of elections. The board filed an answer Jan. 29. By the end of the Oct. 9 meeting, Berlin Township residents decided the only action left for them was to start the petition process to get a referendum on the May ballot. Quinn submitted the petition to Berlin Township’s fiscal officer on Nov. 6. Berlin Township trustees then approved a resolution certifying the petition and sent it to the board of elections Nov. 13. The board of elections certified the referendum for the May 2018 ballot on Nov. 28. In the Jan. 18 protest hearing in front of the board, Joe Miller of Vorys, Sater, Seymour and Pease LLP, attorney for Savko Brothers Properties X LLC, challenged the board of elections to review, examine and certify the validity of the petition as outlined in the Ohio Revised Code. This entry was tagged Cuckler, D. Anthony Botkin, Delaware County Board of Elections, Ohio Supreme Court, Quinn, Secretary of State. Bookmark the permalink.